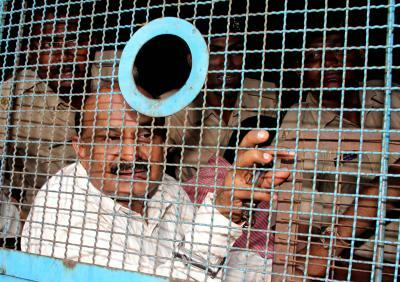 Ahmedabad, Oct 9 (IANS) The Gujarat High Court on Monday commuted to life imprisonment the capital punishment of 11 convicted for burning a Sabarmati Express coach near the Godhra railway station in Gujarat in 2002 which killed 59 persons. The High Court simultaneously passed strictures on the government, then ruled by Chief Minister Narendra Modi, stating that the state had failed to maintain law and order in the state and directed payment of a compensation of Rs 10 lakh to the next of kin of the ‘kar sevaks’ who were killed. The attack on the Sabarmati Express train coming from Ayodhya had triggered massive communal riots across Gujarat, leading to deaths of another about 1,000 people. 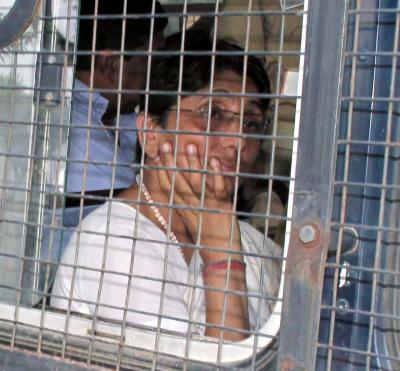 A total of 130 persons were accused, of which 94 stood trial on charges of murder and conspiracy. Of these 63 were acquitted by a special court in 2011 which had pronounced life sentence for 20 and death sentence for 11 persons. This was challenged in the Gujarat High Court, which heard the petition and kept its sentence reserved for two-and-a-half years. A special bench of the Gujarat High Court on Monday refused to alter the verdict on 63 acquittals while the judges expressed regret for delay in pronouncing the judgment. “There seems to be some discrepancies in the investigation. Nothing can be done about the way it was investigated but even with this investigation if the court has found a conspiracy in the incident, we expected strictest punishment,” Vijay Patel, lawyer representing victims of Sabarmati Express burning, told reporters at the court. “We are partially satisfied as the court has upheld the incident as a planned conspiracy but sad that strictest punishment has not been given… We will go to the Supreme Court,” Patel said.